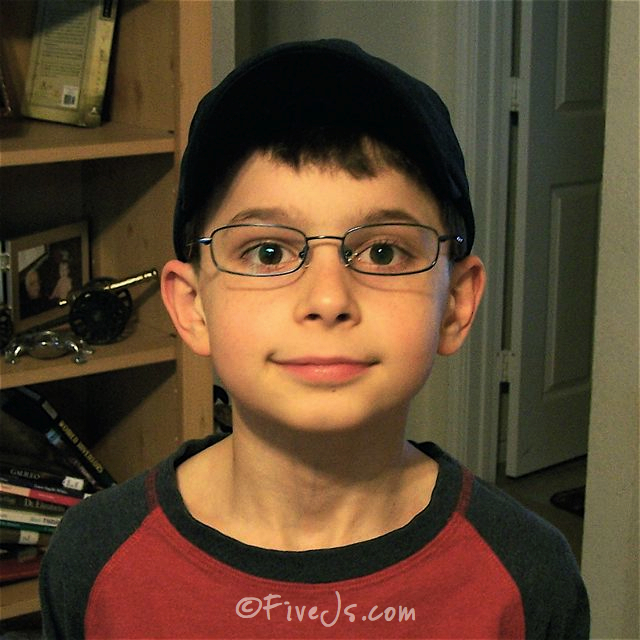 Jaden's glasses came in today, which brings our total number of successful eyeglasses orders from Zenni Optical to four! 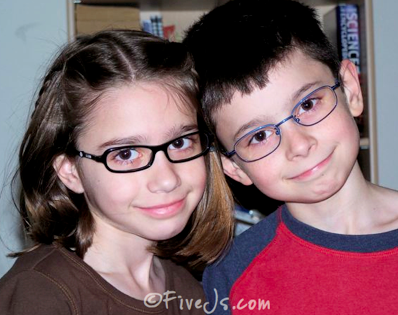 And yes, I know, the two pairs of glasses Jaden chose look very similar, but that was his choice. There is actually a difference between the two—in both shape and color—but it's difficult to tell at first glance. We've now ordered a total of seven pairs of glasses from Zenni and have paid less than $180 total (and that amount includes $19.80 in shipping charges between all four orders!). I must say that we've definitely found our source for glasses in the future! 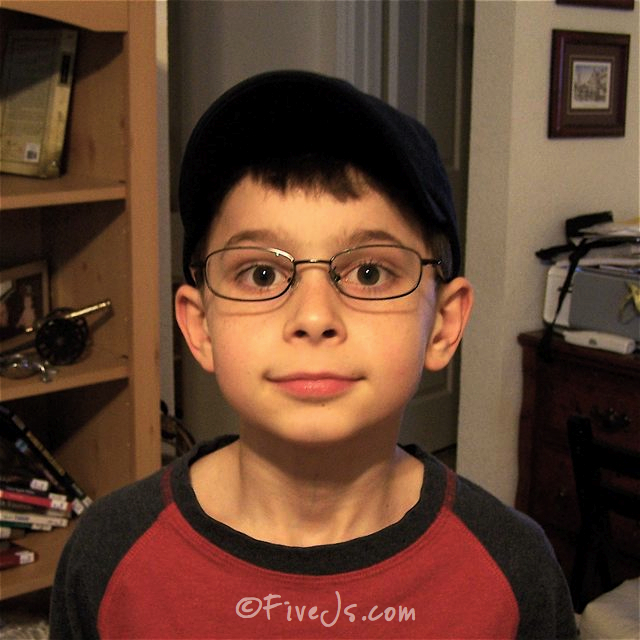 I placed the order for Jaden's glasses late Thurday evening, March 6. The glasses arrived today, March 17, which was only seven business days after the order was placed. That's good service if I do say so myself. Each pair of glasses came wrapped in a lens cleaning cloth. 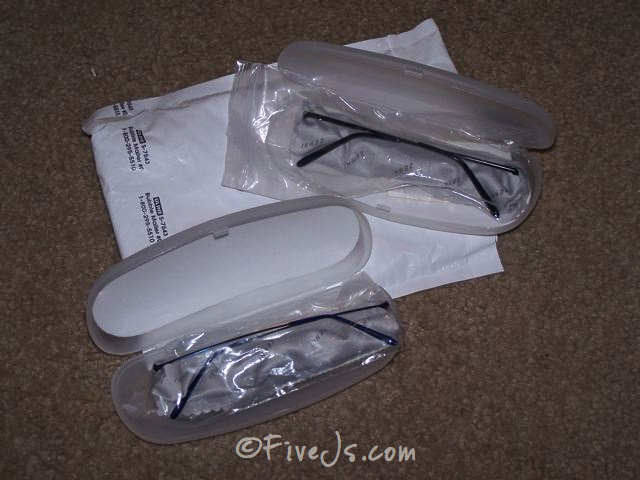 The glasses were then placed in a zippered plastic bag and secured inside a hard plastic case and shipped in a regular shipping envelope. Thanks for the picture and recommendation. It was just what I needed to get a little more confidence to place the order. I am so glad I ran across your blog about Zenni! I've been searching discount eyeglasses websites for hours now, and was definately skeptical about ordering through them. I got a new pair of glasses through my insurance co. in January, (would have cost me over $300 if not for the insurance, and even then cost me over $100,) and they're beginning to bug me. I'm not eligible for a new pair for two more years, and the thought of wearing these that long REALLY bugs me! Thanks for the details, and especially the photos of how your glasses arrived. We all have to pinch pennies these days!